The ability to raise revenues from taxes – called “fiscal capacity” – is a crucial aspect for the functioning of any state. Being able to tax citizens, and collect revenues efficiently, is a cornerstone of state formation and survival. Secondly, greater fiscal capacity implies greater access of the state to resources needed to provide public goods and services. Developing countries are only able to raise a small share of taxes. Typically, they collect between 10% to 20% of GDP. The average in high-income countries is double this, at 40%. These low rates are the consequence of many problems. First, the large size of the informal economy. Second, a lack of investment in tax collection – most developing countries rely on sales taxes, which are easier to administrate than personal taxes, but entail lower revenues. Low tax collection rates have devastating consequences on development. They mean that governments aren’t able to invest in public goods such as health, infrastructure and education. Even the Sustainable Development Goals, which aim, among other things, to build effective, accountable and inclusive institutions at all levels, have set mobilising revenues as a goal on its own. In our paper on taxation in developing economies we focus on the question: why do they tax so little? We focus particularly on the role of the state in creating an environment conducive to collecting taxes. And we also try to offer some solutions. We posit that political systems that place strong constraints on executive power would be more likely to lead to taxation systems that have a higher degree of accountability and transparency than heavy handed measures to enforce compliance. We lay out some basic relationships about how tax revenue as a share of GDP varies with per capita income and with the breadth of a country’s tax base. We then sketch a baseline model of what determines a country’s tax revenue as a share of GDP. We begin with factors related to the economic structure of economies. But we argue that there’s also an important role for political factors, such as weak institutions, fragmented politics, and a lack of transparency due to weak news media. In addition, sociological and cultural factors — such as a weak sense of national identity and a poor norm for compliance — can stifle the collection of tax revenue. In each case, we suggest the need for a dynamic approach that encompasses the two-way interactions between political, social and cultural factors and the economy. There’s no single answer to fixing a state’s ability to collect taxes. The reasons for not being able to do so efficiently depends on a number of factors. These include historical ones, such as internal or external conflicts, and political factors, such as weak institutions or a weak sense of national identity. And finally, economic factors like a country’s dependence on natural resources. Holding executives to account matters for a number of reasons. Firstly, it means that citizens can control and limit the executive’s access to resources. Citizens can also demand greater accountability from the state about what happens to the taxes they pay. Greater constraints on the executive can also make a country’s tax system more transparent. Our findings, based on 47 countries, suggests that greater transparency and accountability may in fact be more important in raising tax revenues than measures that only focus on coercing people into paying their taxes. This effect is sizeable. We found that there were significant improvements when constraints were put on the executive. For example, over nine years there was a 2.4% increase in total revenues and income tax revenues as shares of GDP. One country that illustrates this point was Tanzania. An inability to hold the executive to account, plus lack of transparency, seem to be the main drivers behind the country’s budgetary problems. Its tax collection rate is a mere 12.8%. In March 2018 the Controller and Auditor General, Mussa Assad, presented his annual audit report for the 2016/2017 financial year. This showed that state institutions had diverted trillions of shillings into ghost ventures. In particular, there was an unexplained mismatch between the collected revenue of TSh 25.3 trillion (US$10.88 billion) and the TSh 23.8 trillion (US$10.24 billion) government expenditure. Our verification was limited by lack of supporting documents and adequate explanations from management (of the Ministry of Finance), which were necessary for ascertaining the accuracy and validity of amounts to be verified. For example, the Ministry was unable to provide documents such as the proper cash book for the consolidated funds and bank reconciliation statements that provide crucial underlying information for the figures under verification. The provided information was scattered in numerous sections and were subjected to frequent adjustments in the course of verification. This quote highlights two issues. 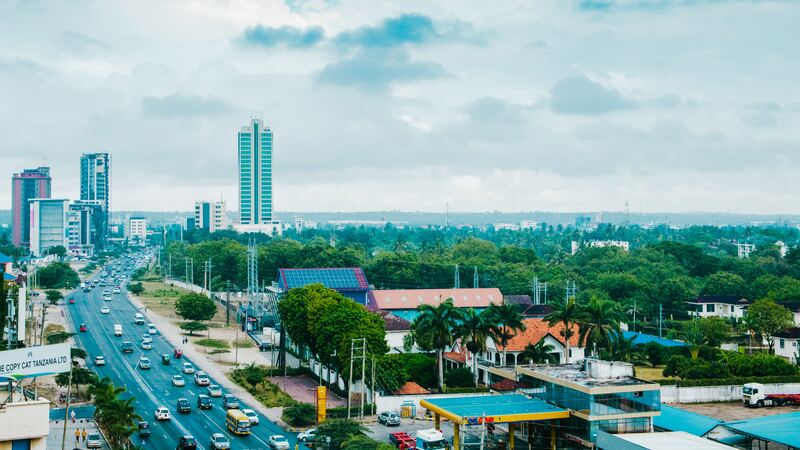 First, Tanzania has a significant mismatch between planned and actual revenue and expenses, and it is unable to keep a record of its transactions. Second, public bodies are unwilling to share information with the public. Nor are they willing to be held accountable. Building a fiscally capable state won’t bring benefits in the short term. Changing institutions takes time, and changes in the law don’t immediately translate into changes in behaviour. But it’s nevertheless key to consolidating working political institutions, providing strong checks and balances on the discretionary power of the executive and building confidence among taxpayers.